“Before working with Sydney I worked in a job that kept me from diving into my passion, and barely afforded myself and my family a comfortable life. I had created a business prior to working with Sydney but I couldn’t figure out how to put into words and action what I truly wanted the business to be and do. I felt such an intense urgency: I need to help people now. I can’t be in this job any longer. I can’t live like this any longer. I was so fake and un-me. In August I told my husband after our trip to England in Oct. I no longer wanted to work at the hospital I was at anymore. It was unfulfilling. I felt like I was stuck. In Sept. I found Sydney via her podcast. Earlier in the week I had mailed a thing to find my Birth Mother and was listening to a podcast where Sydney and a guest were speaking to how some people we just put on this planet with no roots and they aren’t supposed to. As I’m listening to this it resonated in my soul so deeply and I started crying, That is me. I scheduled a call with her and I felt like Sydney already knew me. Like we were old friends. I was so comfortable with her. She saw through my fear and front and pulled it out of me in tears in the most loving way. She was so Genuine and so compassionate. She guided me to seeing that my business was about investing in myself, in my soul, in my life and in my mission. Sydney provided a space for me to grow by so many leaps and bounds. My relationships are much better, especially with myself. My self love is through the roof. I love spaces of myself I didn’t think were possible to love or access. My self worth has improved greatly. I loved Sydneys unique take on business strategy that always invites me to really tap into my higher self to get my answers and insights for what I am to create. I feel more comfortable with being guided to my intuition and releasing control. Knowing that all aligns when you are living your most amazing life. Sydney is truly in vibration with Divine.I can’t tell you how many times outside of our actual sessions Sydney sent that one thing that I needed that day or in that moment to hear. Her ability to hold so much love and compassion in the moments that i felt frustrated or unsure of myself was incredible. “Sydney’s energy has attracted me to her programs since I first came across her and her beautiful work almost two years ago. I was immediately drawn to the way that she approaches her clients and her love for this type of work, healing and all-around growth. Everything about her felt magnetic! I had my first Akashic Records reading with Sydney approximately a year and a half ago and was blown away with the information that came from that reading and the ease and flow with which Sydney received the information and presented it to me. Everything made complete sense and she answered my questions without me even having to ask them. I was in Amazement with her gifts. The more and more I began to tap into and started listening to my intuition, The Akasha and Akashic Records kept “popping” up in my field of awareness, but I kept passing it off! Then I saw Sydney offering Akashic Mentoring, I felt an extreme excitement deep in my soul I knew this was the program for me, however I again doubted my ability! As divine timing would have it, the next day I pulled an angel oracle card as part of my mourning routine and I pulled the card ~ Akasha. I had a feeling deep in my heart and soul that it was time to Stop ignoring the signs! I decided to dive in head first! I immediately reached out to Sydney as I knew she was the Perfect teacher/mentor for me! To my delight, she had one spot left in her mentoring program and I knew it was meant for me! After speaking with her, she settled my nerves and assured me I could do this type of work and I was drawn to this program for a reason bigger than myself. As we began the beautiful process for mentorship in the Akashic Records, I was immediately surprised and delighted as images and information flowed to me. It felt like I had come back home to a place I knew I had been before! Sydney’s mentoring approach helped me to gain confidence in reading the records; in trusting my intuition and the information I was receiving as well as how to discern and ground back into the records as I was still “learning”. She provided guidance, practice exercises and one-on-one mentoring. All of this together gave me the confidence I needed to realize my gifts and to start opening and reading records for myself as well as other individuals. During my mentorship and opening my own Akashic Records I was able to do some extreme, deep healing that went back many lifetimes… deep generational and past life healings, which I never knew was possible. I have also been able to make a connection between my past lives and my current life which has brought so much to light for me allowing me embrace my current ways of being. To my surprise, I was able to connect with my mom who has passed and healed some very deep wounds that we were both carrying. I am forever grateful for the insights and healings that have taken place by accessing my own Akashic Records and having such a supportive and encouraging teacher and guide. Helping others in the process of deep healing has been a beautiful and rewarding process as I learn and grow with each reading. I am now able to open the records and quickly discern and relay the information that is flowing to me, whether that be in my own records or for others. I have gained great confidence in the way I receive information and Sydney played a huge part in building that confidence! She guided me with love and encouragement and was always reachable for any questions or concerns that came up along my journey. Even after our mentorship period has ended, she continues to provide guidance and loving support. This program is for anyone who knows they have medicine on their heart, but maybe not quite sure how to get it out to the world. If you are someone who wants to dive deeper into healing for themselves and others, to receive guidance in a loving and supportive environment this program is Perfect for You! “Doing the Akashic Records training with Sydney has really allowed me to embellish my own self confidence within doing my practice. I was always seeking others to help me to “figure out” or “heal” me, but since doing the mentorship with Sydney she has really taught me how to go within and seek my own healing and my own wisdom. I love healing parts of myself by myself without having to seek externally. By doing it myself I’ve really shifted my perspective, making me more self-reliant and accountable. Which in turn has made my connection stronger and I’m more aware of how to read/feel energy so it’s working in all ways to benefit my soul being. I’ve learnt where core issues arise from and how can I change/release that, allowing me to return to my own power. The journey with Sydney has been so enlightening. I feel like we have moved so many mountains and layers in such little time. I’ve had more resolution in the duration of the course with Sydney than I have with years of conventional counselling. I am so much lighter and I am able to process and deal with things more assertively and at better ease. Sydney and I cleared stagnate energies that my body has been holding onto for lifetimes that have played a significant part of holding me back from my potential in this current life time. There was abandonment issues, grief, loss and loneliness amongst others. I was able to tap into the energies to heal the old observing what the lessons have taught me and make space for the new. Sydney’s information, intellect, ability and connection are so profound, the wisdom and value she has given me you just cannot put a price on that. She pushes me out of my comfort zone and I love the fact she practices by the method of wanting you to do this for yourself because she wants you to come away from the teachings and experience to not need her any more, to seek the answers within. By the second session with Sydney I was running the show. Usually I would walk away from that feeling like it was terrible, I did a terrible job poor me poor me, however I walked away from it saying it was the best session to date because it taught me how much human conditioning I have and the depth of it. It was so beneficial to see that for myself and experience so I could continue to evolve and grow. Its not about feeling good and having the work done for you, its about you taking inspired action with the information at hand. And when you take the action it propels you to a completely different level. Even though each session is different with different people even with myself, I don’t question the outcome. What is meant to happen will happen, even if I still have ego that comes to mind it’s still exactly what its supposed to be. Sydney truly holds space for you. She does it so willingly, diligently and so lovingly. Having Sydney be my support at any given was one of my turning points. That level of support brought me to tears, this also came up in one of my sessions because its been a very rare occasion people have done that for me. But that’s Sydney’s service to you, that’s her love for you and to feel that, and to be on the receiving end is just incredible and without that support to that capacity and depth I wouldn’t be as successful in the teachings as I am now. Go back a month ago I didn’t know how to do this stuff, and how rapidly I have come is amazing and its really helped me gain focus and gain momentum and clarity of my own foundation and what I want to utilise for my business. I knew I was interested in the Akashic, but I really love what’s coming out of it and for my clients because they shift so much in one session and I’m really proud of where I’ve come in so little time. I have much gratitude and adoration for Sydney, if it wasn’t for her, I wouldn’t be in the most positive light I am in currently and the self-confidence I’ve gained has just multiplied. Sydney makes it a priority to be your teacher, guide and encourager, she’s your grounding element and your human vessel to help guide you. She doesn’t let you struggle and she helps with every element, even giving additional resources and supports that will help. I heart on heart truly recommend Sydney to be your mentor, she will be your greatest teacher of the Akashic Records and I highly recommend her for an intuitive reading. The amount of information that is unleashed in her sessions are mind blowing. “My Akashic Records reading with Sydney a year ago was one of the most powerful energy transmissions I’ve ever received. Using guided healing in the Records and customized practice exercises and guidance, Sydney has pushed me toward massive breakthroughs in my personal growth, money story, business, and relationships. Sydney is a tremendously generous guide and she invested a ton of her attention and energy in my growth. In fact, the entire Akashic Intensive felt like this incredible gift she created just for me. The one-on-one sessions are designed to push through your ceilings, expand your awareness, and generate healing breakthroughs. In between sessions, Sydney offers creative exercises and prompts so you can keep moving forward in your solo practice. She was always available to answer questions, and every time I had a problem, she offered 3-4 ways to get unstuck. She also pushed me to find practice partners, which I was very reluctant to do, but those partner sessions ended up benefitting me hugely. The whole experience was thoughtfully curated to both challenge and support me. By the end, I’d gained new independence, mastery, and confidence in my Akashic practice as well as huge healing in the rest of my life. Cleared past relationship trauma that was creating noise in my current relationship, which let me deepen into trust and mutual support with my partner. Confronted past sexual shame that’s been a block to asking for what I want, which gave me the confidence to raise my rates and bid for (and win) a huge new contract with a major player in my industry. If everything is an inside job, this program is a way to kick the door open. In this program, I got support from a truly amazing guide who helped me develop a set of healing tools and a healing practice that I can use to support myself at any time. With these, I was able to truly transform, once and for all, some of most painful obstacles that have been holding me back. Considering the depth of the training, the level of on-going support you receive, and the growth Sydney facilitates, this program is an absolute steal. Before I signed up, I was considering this or a more traditional business coaching program. Im so beyond grateful I chose this. 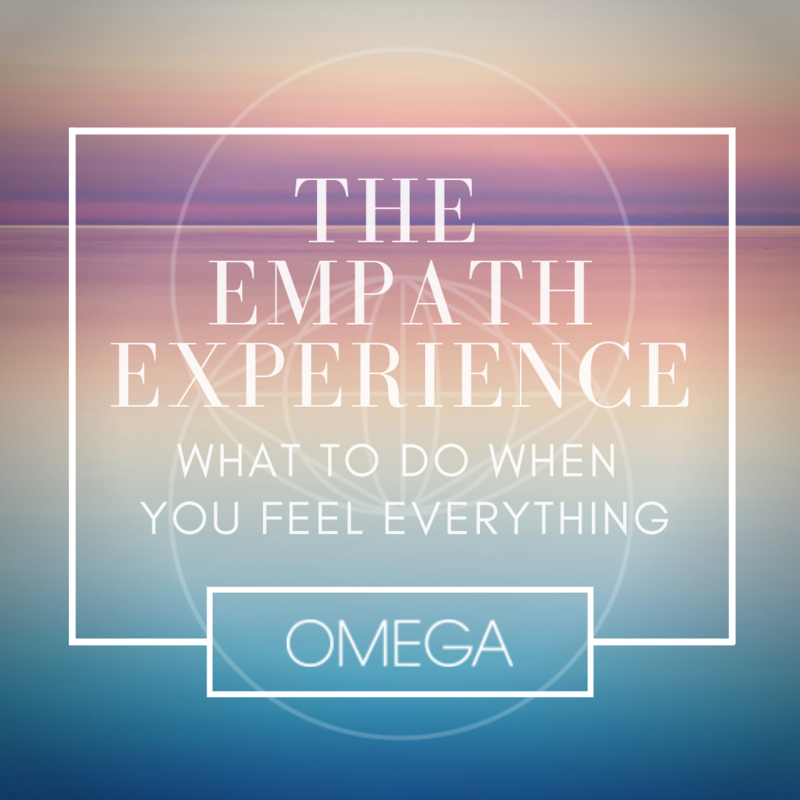 “I was stuck in 3D programs operating as an empath, feeling the energy of everyone around me and having little sense of connection to myself. Intuiting things about people but struggling to see their light. Feeling like a victim of men in my life. I had little self love which was reflecting in the way i felt about my body and how I took care of it and I still struggled to trust myself, literally scared to venture out in the world. My inner life felt so unhappy. I knew I wanted to work with Sydney because I needed to get out of this mess that I was in and create the life of my dreams. I’ve taken multiple group programs before which have been so powerful for me including NLP coaching, Strategic Intervention, Yoga teaching training, EFT, meditation, Tony Robbins and more but I never had never had the support from someone else to go deep into me and understand more about my personal journey. Since working with Sydney over our three month program, my health feels amazing and I feel so much vitality, life and flow in my body and self. I trust myself again and love all of who I am, the shame is all gone. I’ve been on a process of shedding so many layers to get to the essence and core of who I am and feel so much more confident in sharing that side of me. I have created an incredible coaching program and have been sharing my gifts, strengths and genius with incredible women who are rising as leaders in the world. I have created so much self love that I’m now in a relationship with the soul mate man of my dreams. I have become so free of sexual shame and have healed so much with my relationship with my parents and my whole family lineage. The eczema I’ve had all over my body since I stopped breastfeeding as a baby has completely healed. Sydney has super powered intuition. She brings her mastery of self to the game. She is vulnerable and honest when she needs to but focuses on lifting you and taking you into higher dimensions of being. Embodying higher vibrational emotions and sending transmissions through her healing work. She has a high level of integrity for her work. Working with Sydney is like being in a Vortex Beyond Time and Space and transmuting all the fear to love. It is truly transcendent. “Thank you so much for your guidance and wisdom Sydney. Yes, you are absolutely correct. It was such a gift to connect with you. I loved how your visions started to unfold about my career path. Every word you spoke had an impact on me and was in tune with what I have been thinking and feeling. It was truly amazing to be present to the expansive insights you were describing. As you communicated with me what you were seeing, I felt a tremendous connection to what you were saying. I have been thinking about the very same things for a while. It finally gave me perspective and clarified all the swirling thoughts of confusion in my head and confirmed what I need to focus on. This has caused so much mental anguish and indecision for so long. Our session grounded me and gave me the confidence to take action. Since our session, I have launched my Instagram page, a blog, and webpage with my personal healing offerings. I also have my 1st ‘essence styling’ client. I’m excited about the fact that, what you said gave me permission to ‘put myself out there’ and just try things out, without feeling like it needs to be this huge lifetime commitment. I finally feel like I have a foundation to work off of so that I can expand in the direction I need to. Otherwise, I would have been scattered and second-guessing my decision every step of the way. I can now breath easy. I look forward to replaying our session, as I’m sure I’ll process even more of your intuitive wisdom. “I needed help getting to the next level, but wasn’t sure what that looked like. I quit my job of 13 years to focus on coaching and I wanted help getting my business up and going, but I was also looking for spiritual growth coaching as well. A marrying of the two. I knew what I wanted to do but I was having a hard time connecting to my business vision. Plus I been programmed to do things a certain way for 20 years and it wasn’t feeling authentic to me. At the time I decided to work with Sydney I had been looking around at different coaches, there was a spiritual business coaching program that I looked at, but it seemed very cookie cutter. They just wanted me to set up a facebook group and get people in a funnel and move on. It didn’t seem as though there was any coaching related to me specifically. It felt distant. I heard Sydney on a podcast and I felt connected to her. I don’t even know, it just seemed like the right decision. #soulfamily. I knew her mentoring program was equal parts business development and spiritual development and that’s what I was looking for. I have worked with coaches before, done marketing programs that I have lifetime access to, read books, podcasts, meditation, but I wanted to go deeper. I knew I had some deep digging to do and things to release and, looking back, I think that was my main priority but I didn’t know how to communicate it. I was in fear and scarcity mode. Since working with Sydney, my biggest breakthroughs are having more trust in myself and the universe and living in a state of flow. Following our six month mentoring program I’ve gotten Reiki Level 1 and 2 certifications, found my community of deep soul family connections, deepened soul connections with people I have known for decades, have become more open and honest which has resulted in a total life upgrade, meaning: feeling the way I have wanted to feel about my life for decades, allowing people to see me for me and love me for me. I’ve turned on my ability to receive love in all forms, money, touch, eye connection, energy connection, etc. Since October I’ve created 2 working spaces in which I see clients and share my gifts, attracted 30 reiki clients, some multiple now, have my first coaching client with multiple prospects, and started my ministerial program which had been a long-standing dream of mine to do since I was little. Sydney asked the questions that I needed to be asked in order to uncover the things that were holding me back which included healing my wounded feminine and masculine, releasing old programming (corporate america), opening up to my true nature that I had buried for years. In general, helping me reconnect to my true nature which interestingly put me back in the same mindset I was in 15 years before I shut myself down. Today, I am a metaphysical/spiritual coach in a ministerial program through the Spiritualist church. I guess this is my calling. I wasn’t going to be let off the hook no matter how far and long I drifted. To anyone whose on the fence about joining/hiring Sydney, just move forward, it is worth every penny. The journey you will embark upon is transformational, healing, and unparalleled. “One night, I was perusing through Instagram. And I came upon a post from Sydney Campos regarding her Akashic records Mentoring program. Quite honestly, I didn’t even know I was following her. My Spirit told me to immediately reach out to her. I’am so happy I listened. She is a divine messenger and guide. Her wisdom and guidance have had a major impact on the way I have viewed life. I have discovered knowledge and a new way of healing myself. She has been an amazing spiritual teacher, and I count my blessings to have found her! It’s really so beautiful beyond words, this awareness she has led me to. The transformative sessions with Sydney has given me a wealth of knowledge and healing that words can’t convey, this is how powerful she is. There was a distinct softening of a very stubborn lifelong issue that I have carried and Sydney helped me work through it. “I am highly intuitive and have a strong relationship with my Spirit Guides in the shamanic realms, so it would have been easy for me to say I had no need to try an Akashic Records reading (as I sometimes hear other healers say they get readings from no one else). But wow, I am truly so glad I decided to get one from Sydney! She has a gift for helping you see & own your unique soul work, & I left the reading feeling more empowered than ever. The timing of the reading itself was very divine & synchronistic to begin with. I was in the midst of a huge life transition & suddenly wondered to myself one day if Sydney was still offering her readings. Within 24 hours, she offered her email list a special deal on them & I booked one right away! I was in tears within minutes of the reading, & Sydney addressed a number of questions I had written down in advance that I hadn’t even vocalized. She also shared very helpful insights on some sticking points I’ve had around my business & confirmed some ideas I’d been toying with but hadn’t yet put into action (which I didn’t mention to her). So much was revealed that I needed days to integrate everything. Most importantly, I felt seen, heard, & held throughout the session in the sacred container that Sydney created. I am still in awe of the experience & highly recommend it. It was a moment of full remembrance in this swirling vast here and now that I finally was able to soften into some final truth that I have been curious about for many years, and truly allowed me to finally have an inner-standing of it all. Listening to so many connections from a past life to an Intuitive ability here in this life, truly has given me another way to stand tall in my convictions. Not giving my power away but just allowing myself to fully embody and choose to step into this human experience in a more mystical way. In fact the science is all there we just have to stay open to bridge the two. Besides that if everything was exposed we wouldn’t be able to live in the beauty of the surprising nature of evolution. So why not live exploring all that you can while awake? If you feel called to receive in this way go and check out my sis @sydneycampos as she truly blew my mind and shared in such devotion to truth and for the highest at that time for my greatest potential. In this Intuitive Soul Reading she will be accessing your Akashic Records and channeling her own intuitive insights which collectively allows her to access information about your soul’s entire journey (past, present and future lifetimes). All insight is conveyed within the space of pure unconditional love and is always intended to serve your highest good. “I came on this retreat to be in an intimate space with other people and I had history with Sydney, having witnessed her transformation online and in person is incredibly magnetic. I was enthralled by the possibility of being in her space. Her no-shame spirit was reflecting back to me how I had more work to do. I get the message from others often that I live a magical life but I sensed I had more work to do. I was also specifically drawn to the inner-child focus. Sydney’s vision spoke to me. I was actually considering going to Landmark Forum before joining Sydney’s retreat. Prior to the retreat, I was feeling challenged by menopause. I know my body and my soul needed to be integrated. I felt like doing major transformational work. I was ready to grow and evolve in new ways. My body was demanding I return to it and listen to it. I’ve looked for coaches but its hard to find someone that inspires me – I never thought a 29 year old, my friends daughter, would be the one. I am stepping into embodying so much of the work I have done over the decades. I am a trained facilitator in many modalities and have studied and guided others through transformation forever – but now its time for me to receive guidance and experience the work in a new way. I was considering Landmark because I am encountering a lot of family issues at the moment. My mother is turning 80 and my siblings and I are being called to show up for each other and for my mother in new ways that are challenging our connection and history in all sorts of ways. I was seeking support with navigating that process in more integrity and leadership. I’ve done innumerable trainings and I see so many coaches projecting their own issues into the work they take others through. Sydney pulled me in at a time when I was feeling the pull for a deep dive. I didn’t know that I needed a psychic intervention, which is what Sydney definitely offers. I’ve been reading her emails, and every time I read them I get a buddha smile on my face – I get a meditation type feeling just in connecting to her writing. I felt like I received a psychic, energetic download that just comes through her that I can hear. Through interacting with her I’ve gotten immensely clear on my blocks, what they are and how I can move through them with grace. I feel clear on my next steps in my life. I feel grateful for having experienced so much truth and honesty. The only true move is the most necessary one – you already know the answer! The flow of the experience was amazing. Sydney’s ability to read participants in a very clear way with lots of permission and space for them to receive is astounding. Sydney has a nice balance of telling her story and not projecting her own issues – she expertly tells her story for service and connection. Sydney’s capacity to keep her energetic level steady is incredible. She stays energetically in service so consistently – its profound. Her ability to hold space is incredible. People want what she has. “When I started working with Sydney my biggest pain-points were mindset and money. I felt like Sydney could specifically help me with mindset because she had been through what I was going through – leaving my full-time job, starting my new company, making myself visible as a coach for the first time and offering my services. My biggest results from working with Sydney were the confidence to quit my job and believe that everything would be ok. I also took a lot of action with Sydney that I didn’t have the confidence to take alone. She introduced me to what my life could (and would) look like. “Sydney’s last retreat in Bali literally changed my life. My intention going to her retreat was to fall deeper in love with myself. And that’s exactly what happened. I had multiple major breakthroughs on her retreat related to RECEIVING and ALLOWING myself to experience more FUN, JOY, and FLOW in my life. It was on this retreat that I realized, at a very DEEP and visceral level, that LIFE DOESN’T HAVE TO BE HARD. And since then, as I’ve described to multiple people, I feel like I’ve been in this incredible state of “Bali Flow” that has allowed me to have my first six-figure salary month with less effort and more fun than ever before (and that, of course, has been a consequence of simultaneously SERVING more powerfully than ever before). I am now MOVING to Bali at the end of this month, and it is BECAUSE of this retreat. “I came on this retreat because I was feeling stuck in my story around being single. I didn’t understand how this was going to change. I was very caught up in scarcity and lack of possibilities when it came to relationships and intimacy. I was in a conundrum about what i needed to do to attract the right person, and I was mad about why I needed to change. I was unhappy and making myself unhappy because of this external thing that I don’t have any control over. I had been feeling this way since March. I had taken a big leap from last summer through last fall and over the winter and then landed in the Spring of this year wondering what was going to happen. I was considering doing the Human Awareness Institute (HAI) program before the retreat. It’s a series of seven workshops specifically around love, intimacy, self-love and sexuality. I’ve been in therapy for a long time. I’ve also worked with Miranda and Jana Saunders – amazing transformational coaches. I’ve done retreat and personalized 1:1 coaching with them. From this retreat experience I’ve received the support I need to move forward. In the past I needed to experience more wallowing and processing wounds – what’s working now is really focusing on the positive and doing work to seek love, fun, connection. I am getting more support to move towards positive. Sydney’s ability to do the guided meditations is awesome. Her language is so beautiful and really helped me to connect deeply to my inner child. Sydney’s authenticity deeply resonates with me and helps tune me into a deeper state of connection with myself. Sydney created an amazing balance between structure and flow that I found very comfortable. I loved connecting to my various stages of age in our work and meditations. 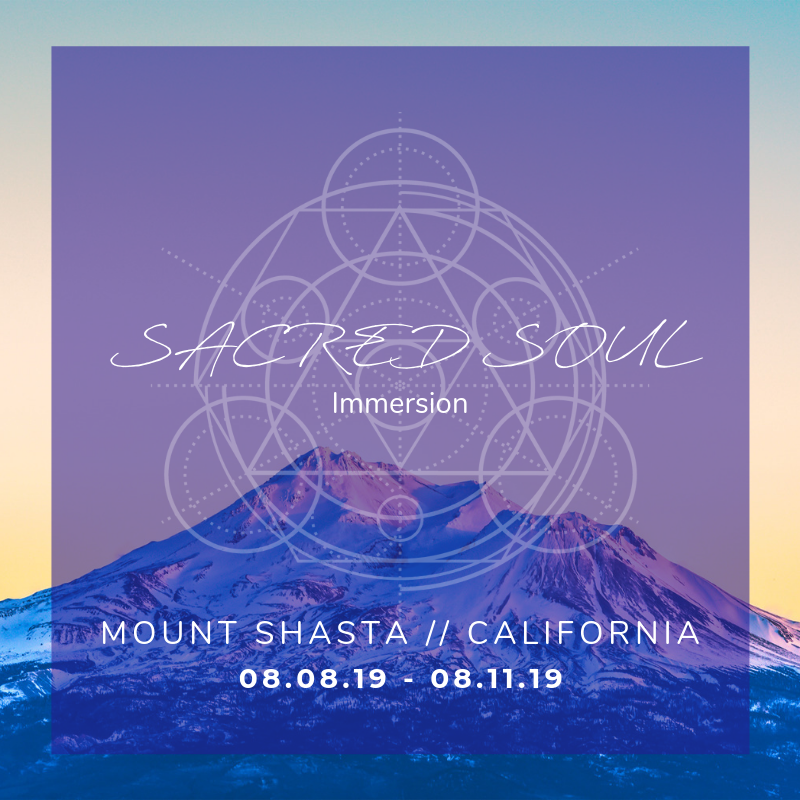 A lot of my work in this area has focused on a particular range – this retreat helped me hugely in connecting to new age ranges and experiences that tuned me into more fun, love and happiness. I feel more alive to my happiness. I feel more alive to fun. I am more aware of my desire to feel connected to other people. I had such a powerful experience connecting with our retreat group. I am more of an introvert, more of an isolator and now i feel very connected to be with people and do healing with others. I found that experience so supportive and powerful – in community. Specifically, just being in Sydney’s presence and energy is so powerful. This retreat was such a gift – exactly what I needed – amazing jumpstart into my next phase. I did the Intuitive Soul Session with Sydney and had no idea what to expect as I hadn’t experienced this kind of process before. I was amazed at Sydney’s ability to channel non-stop for such a long time – there was a huge amount of information and some deep insights into my life and I felt a great deal of love and support. I was hoping for some direction and a better understanding of things I had been experiencing recently and I found the session shone a light on those areas, and it was also a step towards further awareness of some of my hidden blocks and inner child issues, which I have continued to open up to and integrate. Sydney has a wonderful gift and if you feel a call to work with her I would highly recommend following your intuition and seeing where it takes you! “It has been about 8 months since I began working with Sydney and in that time I have been able to lovingly leave a relationship of 12 years, have the courage to quit my career of 10 years and begin my own coaching business, uproot and clear limiting beliefs that had been holding me back from going after what I truly desire, skyrocket my feelings of self love and worthiness, and get into alignment with my truth. Sydney created a safe container for me to learn and grow and heal. She encouraged me and gave me the tools and courage to pursue things I never would have done on my own. She shined light on the parts of me I wanted to hide but were essential to uncover for my growth. She was both gentle and strong with her guidance. My favorite part about working with Sydney was the vibration that she holds is so high that you are automatically upleveled just by working with her and being in her presence. She holds space so beautifully for you to expand and grow just by being herself. Yesterday I had an Akashic reading with Sydney and I was absolutely stunned by her gifts and abilities. She truly calls forth your soul, your guides, your ancestors, and your angels and gives you the messages you truly need to hear. I’m at a pinnacle moment in my personal development, and she helped me heal past traumas and showed me that the future I’ve been envisioning is what I’m effortlessly being invited to. She gave me very clear messages to help handle the old patterning and resistance that is already coming up, and I’m using these tools! The reading was such a healing moment for me and I will never forget it. I immediately felt lighter, more joyous, and all around cleared out. There’s just an immediate sense of wonder and newness that I appreciate. “Four months ago, when I first signed up for Sydney’s mastermind, I felt very confused. I had been traveling full-time living “the dream” making tons of money, sold my yoga studio and was hosting sold out retreats. But I felt exhausted. I felt like I could never “catch up” with all of the work I had to do, my relationships were draining and I wasn’t really sure what I was creating anymore. My SELF and my brand needed a REBOOT. I wanted to make more money, but didn’t understand why my funnels weren’t converting. I kept spending tons of money on business tools with no results. We worked together for three months in a group mastermind and for one month 1:1.Within three weeks of working with Sydney I 10x’d my monthly revenue from $3K to $30K without creating any new business infrastructure but instead by simply following the customized energetic alignment practices Sydney intuitively guided me through. One month into the mastermind, Sydney invited me to write out my 10 year future vision, which included a detailed image of a beautiful white aerial yoga studio and retreat center on the beach with a spa. I thought this would take years to manifest. A few weeks later, I was invited on a tour of THE EXACT studio I had imagined. I was completely blown away. Soon after I was invited to re-locate to Belize as a core consultant overseeing the studio’s offerings and expansion. The greatest benefit I received from my experience working with Sydney is that I now speak my truth no matter what. My boundaries are clear and my energy has never felt more focused. I trust myself and own my value. I share more authentically than ever, especially on social media, and I just FEEL GOOD. I am completely me. I am no longer seeking validation from how much money I make, people in my life or material things. I am free. “I reached out to Sydney at first because I was feeling disconnected from my purpose. I had begun so many huge personal transitions transformations and felt so cut off in my work life. I knew Sydney could help me get started and out of the place or immobility. Compared to other mentors, Sydney is totally unique. Really, she’s blessed with a lot of dynamic energy and she is willing to make her journey fully public, she takes big risks and shares it all. My biggest results while working together were launching my design business entailing my jewelry and artwork, I had an art show, I was connected with some incredible people and most of all I gained the ability to really take action in alignment with my purpose. “I was Sydney’s previous client and simply knew I needed to be in Sydney’s space in person. I didn’t pay attention to too many of the retreat details – I just knew I needed to be here. I was craving more depth in the personal development work I had been doing on my own – I needed support in deepening my experience and getting back on track. My meditations had started to feel a little disconnected and superficial. I was clear that I have some deep trauma blocks that I haven’t been able to access. And it was starting to occur to me that there was something spiritual going on around my physical injury – I was guided to go deeper in my spiritual work to resolve it fully. I knew my next chapter of transformation was going to require an immersion. In other transformational programs I’ve participated in, which have been substantial, I wasn’t able to access my 3-year old self where many of my biggest challenges originate from. I was able to access this precise point through my work on the retreat in a way I never had before. After this retreat, I came home with a very open channel, unlike I’ve ever experienced. The retreat was able to help me convene with my 3 year old self and see the root of my issues. I am open to more compassion and more love – for myself and others as a result. Sydney is great at establishing in her words and actions early on that we were in a sacred space, setting expectations for the retreat and the participants as well to connect intimately and honestly – making it easier to connect deeply and quickly whereas elsewhere or with other people I might not have had such breakthroughs/connections. Sydney models the concepts she teaches and embodies the practices she is teaching and guides in a way that makes it really easy to TRUST her and feel safe to go really deep. I’ve never been on a retreat like THIS but I’ve been on many retreats. The small group made a huge difference in how deep we were able to go. The way Sydney carries herself gives me permission to put myself first and check in with myself – which has been instrumental to healing my self-worth and self-esteem. The exercises and activities we did felt very cohesive. Sydney gives people permission to work on a very deep level and get incredibly intimate quickly. Clearly Sydney works in the space of radical authenticity and honesty – I don’t need to concern myself with how I carry myself or how I sound, which avails me to a clearer perspective on myself. I am learning from Sydney how to embrace and embody what I believe to be true for me and live authentically. I am knowing myself on a deeper level than I ever have before. “Working with Sydney has been so instrumental and integral to my growth. I have always wanted to work with Sydney in some capacity, but I just wasn’t sure how and when the opportunity to join her group coaching program came up, I immediately decided to join. My biggest block prior to the program was giving myself permission to be the person I wanted to be, free of projected stories and limiting beliefs incurred from society and my family. During the program I committed to the following breakthroughs: 1) Deepening my trust and strengthening my spiritual relationship with the Universe; 2) Believing in myself and that my highest visions I had for myself in love, career, finance, spirituality, relationships, and my body were all possible; and 3) Feel and believe I am worthy of the love I desire and want to receive. Words cannot describe how blessed I am for my reading with Sydney. At first, I was hesitant about spending the money, but now after receiving my reading, the cost seems so little for how much guidance she offered! The questions I prepared were answered without me even reading them. She helped me discover lifelong conditioning that has been blocking me from my purpose and living my full capacity. I am an artist, and she knew that immediately! We went deep into the themes of my artwork, and she helped me see where I was creatively blocked. As an artist that is huge and well worth the investment! My reading was two weeks ago, and I have thought about it every day since and started immediately putting her advice into action. Sydney has an incredible gift, and I am so fortunate she shared it with me. Her healing has already begun transforming my life! Much love, Sydney!! Thank you so much!! “Prior to the retreat my biggest blocks were fear of success and fear of the unknown – these beliefs kept me in a holding pattern, keeping me stuck without any change. I was freezing and in a constant state of inaction. After the retreat I went into two auditions and had a completely different experience with showing up – I felt like my authentic self, unafraid to share who I am, and there’s nothing I can do or be to change any outcome – I trust that I am taken care of. I felt newly empowered to take aligned steps into the direction of my actual dreams. It felt so good to give myself that gift. I went into the auditions without any kind of fear or self-doubt – plus I Had a great time and didn’t care about the outcome. I felt liberated. With Sydney’s retreat, in addition to being there with a partner who I really trust, felt extremely comfortable. I had an amazing time connecting. My results since attending the retreat have included: heightened energy, better positive mood, amplified senses – sense of sight and sound in particular, all my feelings feel very close to surface – rawness, but open and safe feeling, I feel the confidence and motivation to move forward are now present; and I don’t feel fear of success or failure – I am confident to start taking action in the direction of what I desire. My negative thoughts tell me exercise was HUGE for me..because I am so hard on myself in general. As I was saying these out loud to my partner I was sobbing, I was very emotional. It almost felt like someone else was saying them to me. It made me so sad. How dare I let myself talk to myself that way – I don’t deserve this. In terms of my self-worth, I healed this part of myself in a hugely powerful way. I am now existing in a new paradigm – how can my gifts heal and help others? Believing this now – this is seeing how a naturally insecure person who is so hard on herself who is so dependent on everyones approval growing into an independent, powerful, inspired visionary. Now I am free to detach from the results because I am free of expectations and a need for approval and validation. My entire outlook has shifted. I was so impressed by the way Sydney was able to keep everyone engaged and just hold a space for every single person. I could definitely feel like certain people wanted to check out at certain moments as things were heating up but Sydney always managed to get everyone together and get connected – holding their attention, not in a direct or commanding way but inviting and encouraging everyone to participate – clear invitation to unite. I learned a lot from watching her with the way she was so open with listening – so carefully and non-judgementally. Sydney never gave direction – she never told anyone what to do or how to fix it, let everyone come to their own conclusions. Sydney is intuitively powerful in zoning in on what makes us uncomfortable and how to connect beneath the surface level. She can see you. “Sydney, with much gratitude I thank you for the akashic record reading I had with you. You are such an angel with a gift that just blows the mind! And I’m so honored for connecting with you and you being such an influential person to help me with my journey. The information that was received was just incredible, definitely something I would not had been able to get to on my own. You helped me in more ways than I can explain and reignited the fire in my belly giving me not only the push but the faith to get back on track with my journey. Really powerful session and powerful healing that came after. I truly adore you and thank you so much for your inspiration. I highly recommend anyone that’s needing to get into the know, or get into the nitty gritty of what’s happening to get a reading with Sydney. She will wow you with her deliverance of such impeccable details! This reading was so invaluable and the high vibes I receive from you keep me going for days after. “I came to this retreat specifically because I was really impressed with what Sydney shared about her transformation. I was impressed with her ability to be facing intense issues in her youth. Initially I was sending Sydney’s information to my partner and then realized I was feeling very called and knew I needed to be there. I had the intention to live fully in inspiration, spending more time writing, really listening to what coaching and writing and being of bigger service to others looks like. There feels like theres a chunk missing from my life although I am showing up in so many capacities. In my time away from work I don’t spend my time in a journal or in a book writing and vision boarding my goals and setting myself up for my next level – I’ve had a lacking commitment and motivation to create clarity. I know this has been missing for me and I was ready to break through this to live in more alignment with my purpose. The weekend retreat illuminated to me my own lacking self-love. I’m now connected to my inner child and taking guidance from this space now – how do you want to play? How do you want to have fun? I want my life to look like a playground – with intentional creativity and fun. In terms of other transformational experiences, I’ve experienced the work of Ecker Peak Performance and Neogenesis NLP training among others things – which Sydney feels familiar to. Even though this weekend experience was very intimate and small – it was very powerful. I was really impressed by how Sydney can observe and witness when other people are stuck in their story she can help by just listening and help them see themselves more clearly. Since attending this retreat I feel more open hearted, more in flow, more peaceful and observant and outside of my current job – I am clear on my new entrepreneurial direction for my “take 2.” I’m not ignoring the noise that’s been blaring at me for quite awhile now. I want to complete a book that’s been in my brain for the last 8 years. I want to help men with living empowered, healthy, clear, loving lives. What helped me most was how Sydney kept repeating the direction to tune into how I feel in the moment. The metta meditation we did looking at different ages of my life was very helpful. My core wounds are my window into how I can best help others. I am empowered in my wounds form now on. From some of our other exercises, I was able to get clear on how inspirational writing and sitting down to actually write my book or read is going to light my soul up. I now desire fun and play and I see how I deserve to give that to myself. Sydney puts herself fully out there with utter transparency and shares her experience, strength and hope on the table – balls to the wall. She’s not holding back at all. She has transformed from her experiences and she can talk WITH you not TO YOU in a way that’s very inviting, inclusive, compassionate, relatable. “Sydney has truly helped me see that everything.will.be.okay. As someone who suffers from both depression and anxiety, I often struggle with feeling confident in my decisions. Knowing that I am fully supported has made me feel more confident in making decisions and forging my own path. My life has completely changed since I’ve connected with Sydney: I’ve quit my job, broken up with my partner of five years, moved, made open-ended travel plans, furthered my career, and entered into a new and amazing relationship all in a matter of months – with Sydney’s guidance and encouragement, I have! “I connected with Sydney because I needed help with business strategy, and I was also aware that every factor of your life can contribute to your business strategy. For me, that was the exciting part of working with Sydney: that working on your fitness, health, meditation, mindset, and relationships to name a few all immensely impact your business, providing fuel to create bigger dreams and a clearer message. Sydney has a tool, a map, an action, a new connection and/or a resource for literally everything that you could need as a creative entrepreneur. “Sydney’s beautiful transformation has made me believe even more deeply that we all have the capacity to evolve as human beings. I admire her very much for being so forthcoming and open about her journey, and it has inspired me to share more of my own journey with others. Sydney meets me at a deeper level as though we have known each other for years. She’s helped me feel more confident to say goodbye to connections I’ve outgrown, and devote more time and energy to deeper connections that are truly in alignment with my core values. What I also love about Sydney is her ability to communicate. It’s just easy to speak to her and have a real, honest discussion. She says what she means and means what she says. She is the type of person I prefer to have on my team; she is self-aware, open and committed to fine-tuning the way she relates to herself and to others. “Sydney 100% changed my life. Night and day changed. Instantly. Permanently. I just (today) had an Akashic Record reading with Sydney and am part of her Alignment Activation 7-week program. After working through the meditations and journaling prompts in the videos that Sydney shares so generously online, I had the most powerful dream I’ve ever had. I was standing outside and said out loud, “I trust that I am abundant.” AND I FELT THE MOST POWERFUL TRUST I’VE EVER FELT. AND I felt SAFE for the first time EVER!! I didn’t think that was even possible for me! And in the space of 11 days, through the exercises she shared in her free 7-day Alignment Alchemy challenge and the guidance and energetic modeling she does in her videos, I have been able to carry this feeling over into the waking world and really build onto it. I would never have experienced any of that if I hadn’t found Sydney’s videos and dived deep on the lessons she offers. I know this for a fact because I have been listening and reading this kind of content for 15 years — from Oprah and Pema Chodron and Louise Hay and all the big name greats I could find. BUT I didn’t CONNECT to any of it. I couldn’t EMBODY any of these lessons until Sydney brought the words to life for me. Most powerfully, I didn’t UNDERSTAND connecting to my intuition until I participated in the 7-day Alignment Alchemy challenge and learned how from Sydney’s videos. Her videos on witch wound, mother wound, and inner child illuminated parts of myself I’d never had words for and gave me a language to engage with them. Also, before I read Sydney’s posts about her book, The Empath Experience, I didn’t UNDERSTAND my entire sensory experience at all. Receiving this wisdom has been such a GIFT and RELIEF. Check out more client testimonials and reviews here.